Experience Downtown living in the Historic Charles Building. 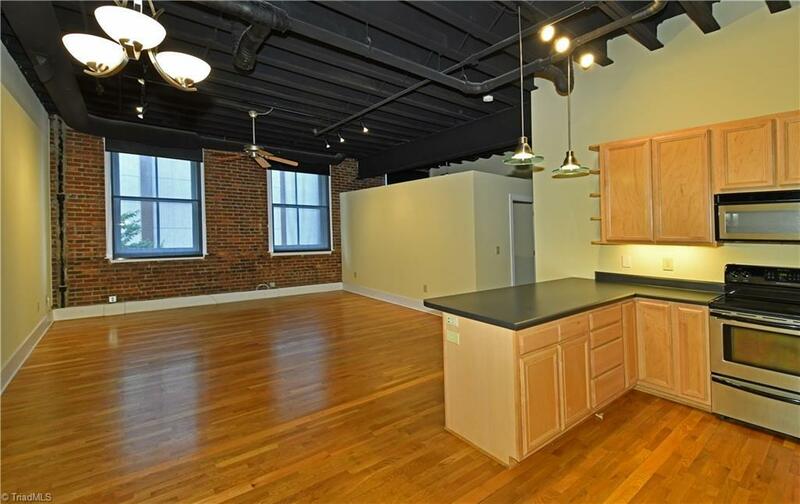 Open floor plan condo features ceilings with steel beams, exposed brick walls, stainless appliances, hardwood floors, & renovated bathroom. Plenty of storage w/ additional room for an office/guest room. Secure entry into lobby & one assigned space in parking garage. Entertain on the huge rooftop terrace. Or walk to the Arts District and Bailey Park. Location provides for easy living to downtown shopping & restaurants.